An early PAX East 2010 panel highlighted the grudge match that often goes on between developer and journalist. 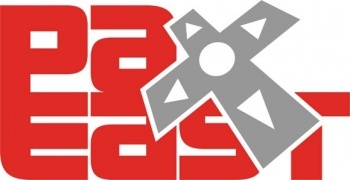 In one of the first panels of PAX East 2010, a selection of representatives from both the development and journalism sides of the videogame industry got together to hash out their problems. With journalists depending on developers for content to write about, and developers depending on journalists to let the world know their games exist, it would seem like a universal understanding could be worked out for the betterment of each. This is sadly not the case, so why can't developers and journalists get along? From the developers' points of view, simply, journalists can be a**holes. Jeff Green, former Computer Gaming World Editor-in-Chief and the host of the panel, once wrote that he thought a rotting dead rat in a shoebox was a better value at $20 than the game Mistmare, but this type of comment isn't necessarily the problem according to Harmonix publicist John Drake. Instead, he feels the problem is that he has to deal with many journalists that might not have qualifications, yet still "have a website and are crazy." In his joking comment is an inkling of truth. He notes that some reviewers can write things that are factually wrong, but the audience doesn't necessarily understand this. Other reviewers might be trying to make a name for themselves by trashing a game, while Irrational Games' product development director Tim Gerritsen can't stand when a reviewer will state that he/she "normally doesn't play this type of game." In Drake's opinion, he'd rather have a somewhat lower score at the bottom of a well written and well thought out review than a perfect score from a reviewer that put in no effort. From the journalists' points of view, it's often a challenge to deal with developers that can be unreasonable. Ideally, a game should be played to completion, but according to G4 news editor Patrick Klepek and Wired's Chris Kohler that just isn't realistic all of the time. If a game like, say, Final Fantasy XIII isn't fun for the first 20 hours, than it's unreasonable to expect the average reviewer, or even the average videogame player, to stick with it to the point where the experience becomes more positive. While Klepek says the full completion of every game is "the goal," as long as reviewers explain in full detail the portion of the reviewed game that was played, a review should be able to stand, within reason. Kohler also points out that it can be difficult to work with developers that have a "lack of respect for reviewers," sometimes seeing game reviewing as "a hobby [reviewers] get paid for." Ultimately, both developers and journalists agree that the audience is a major factor in their battle. Kohler notes that even a well written review with a poor score can help sell a game, as some people may read about gameplay aspects that a reviewer hated and think they sound fun instead. However, the audience doesn't have to read the text of a review, and is fully within their right to stop at the score. As such, the entire panel agreed that "Metacritic scores can go f*ck themselves." What I got out of the panel is that review scores may be the true enemy here, but obviously they are a necessary evil as readers usually demand them. In a world filled with thoughtful reviewers, and an audience that will read a thoughtful reviewer's text, the people of the development and journalism worlds might end up holding hands someday.